It was quite a three day event, is the first thing I'll say. As per last year - in terms of trailers - I did feel the Rebels Season 3 trailer overshadows the Rogue One behind-the-scenes trailer, and despite the fact we never saw it on the livestream, the actual trailer as well. The animation team has the ability to draw on more material without giving too much away, since just six 20 minute episodes will almost match an entire film. Double that six, and there's enough material to make a trailer for just half a season without giving anything important away. Sure, the Rebels team will give us some things like the appearance of Thrawn to get us speculating, and just glimpses at plot points, but we'll never get the full picture. That's not to discredit the Rogue One stuff of course. We still don't know too much about this standalone story, though Vader will make an appearance somewhere. The small action scenes we see are enough to know that this film will be more serious in tone. We'll have to see where both film and TV series go in terms of direction, but both seem to the channelling this era pretty well. As mentioned, Thrawn is returning to canon, and as such is getting his own canon book. Written by none other than Timothy Zahn, the original creator of the character. He was also consulted for bringing the character into Rebels, so much of what we'll see of Thrawn will be true to the old expanded universe. In other publishing, a prequel novel to Rogue One was announced, with James Luceno at the helm. This author has done some great work within the Star Wars universe, and so with a prequel to Rogue One now added to his name, I'm expected another great story. The novel is named Rogue One: Catalyst. Other publishing for Rogue One include The Visual Guide, sticker books, and Make Your Own books. Of course, there is the Ahsoka novel which, after that panel with Dave Filoni, should be a good read. For guides throughout the other films, there will be a Complete Locations book, a Galactic Atlas book, and a Ralph McQuarrie two-volume concept art set. All three of these look set to be interesting, with the Complete Locations book giving in-depth cross section drawings of locations from the various films. While there wasn't any new comics announced at the Marvel panel, they did show off covers for the final Darth Vader comic, as well as preview pages for the main on-going comic. I'm just going to give a brief mention of EA - as let's face it, they have just announced Rogue One content. For Battlefront, a tease of the Death Star content was shown off, and the fourth expansion got revealed - Rogue One: Scarif. For the Death Star DLC, the new heroes are Chewbacca and Bossk. The heroes for Rogue One: Scarif are Erso Jyn and Orson Krennic. We sort of have space battles, in that they are definitely in space. After all, it's the Death Star. How could you not have space battles in Death Star based DLC? But, as far as I'm aware, it will still be regular Fighter Squadron matches. Which is still good. The mobile game Galaxy of Heroes has been teased to be getting Rogue One content, and also gets a new raid in Tank Takedown. For The Old Republic, a sequel of sorts to Knights of the Fallen Empire is in the works. Knights of the Eternal Throne should arrive by the end of the year. The untitled Star Wars game of Visceral only featured in words. But when those words come from someone who previously worked on Uncharted, you get the feeling that this game is in safe hands. Of course, a Celebration isn't a Celebration without all the special guest panels. Mark Hamill is entertaining to watch, as he talks about his experiences and 'almost' let's slip Rey's last name. Anthony Daniels and Warwick Davis really work well together, and it was funny to see the two reacting well off each other as from the start they acted like two big ego's competing for dominance to showing respect for each other at the end. And Daniel's joke of 'probably not recognising me because I didn't have a red arm' as he walks out with a sparkling gold jacket got a good laugh. Ray Park is still a great guy, and hearing about him being Darth Maul is always something interesting to hear. It's also something to see him head down off the stage to a nervous young boy nearly in tears and greet him. Warwick Davis during the Rebels panel was also a good laugh, with him playing off Dave Filoni and Sam Witwer very well indeed. It was also entertaining to hear Warwick do a Maul voice and Witwer do an Ewok voice, then agree to swap parts. Dave was also saying how he likes to bring back old voice actors, with Warwick getting 'offended' that he didn't want any new talent. By the end of the panel Dave had changed his answer saying he's always looking for new talent, and Warwick was confident he'd have a new character under his name. There really is too much to talk about when it comes to these events, whether all the interesting interviews taking place, or the looks behind the scenes of the films. Even looks at merchandise coming out. The closing ceremony gave some interesting little bits of info, like Alden Ehrenreich giving his views on being cast as young Han Solo, and Carrie Fisher saying she wants her dog to have a part in Episode VIII. Then Warwick closes us off after meeting with the crews of the stages, the Star Wars Live team, and all the members of staff behind the scenes. Oh, and a little something about it being the 40th anniversary of something. 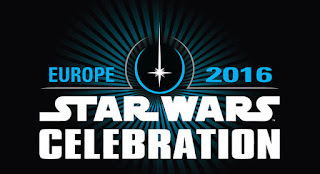 Yes, the 40th anniversary of Star Wars. 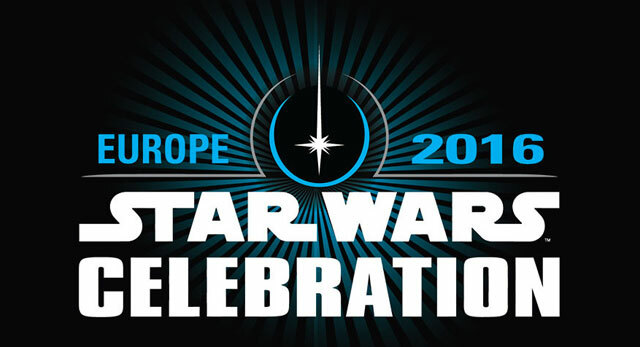 Celebration Orlando, which I'm sure many fans will be dubbing Celebration 40th, is sure to be a real big one, with Episode VIII, more hints at new films, and many more special guests. We'll get teases of EA games, such as Battlefront 2, but the big bulk of that will be at E3, just like with Celebration Anaheim. And with that, this Celebration comes to a close. And a bit more celebrating of a franchise will be coming up in a few days with the Sonic the Hedgehog 25th anniversary party in San Diego. While I more than likely won't be able to watch it live [what with it being 02:00 BST] I'll still be reporting on anything that comes out of it.